Found in Spain in a pit with human remains. No other tools were found, and no animal remains. This large, well-formed axe may possibly indicate ritual behaviour 300,000 years earlier than previously supposed. 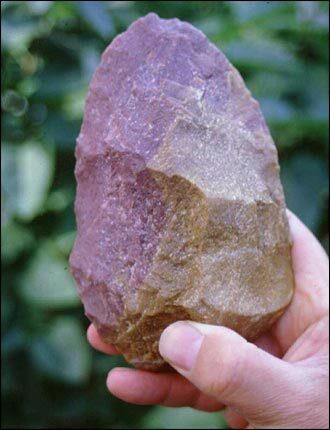 This axe comes from the same cave system in Atapuerca, near Burgos, that produced a fossilized skull whose voicebox showed that humans could speak 300,000 years ago.